The US market rallied and was up over 7% in the 3rd quarter. International stocks were slightly positive while emerging markets were slightly negative. Bonds saw little change both domestically and internationally. Of note, on August 22nd we officially entered into the longest bull market (period of time without at least a 20% drop) in history, now over 9.5 years long. 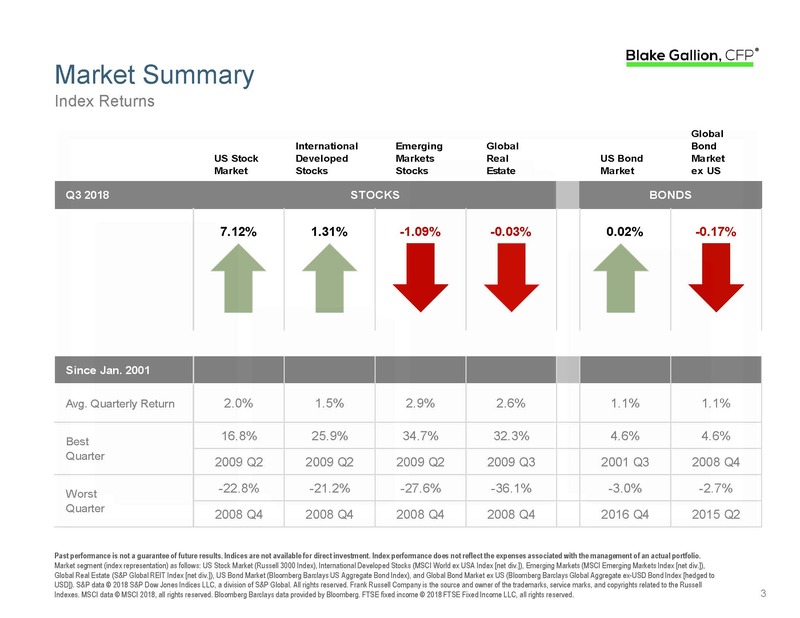 The US has far and away been the best performing market during this time. I’ve found that many of the people asking this question do so because they don’t have an investment strategy, at least not one they are convinced is the best way to get them to their financial goals. If this is you, I’d be happy to talk with you about developing a better strategy.